Bringing you news and information about the Marco Island and Naples Florida area. "Pure beauty on the Edge of the Gulf of Mexico"
In Marco Island, you have to prepare yourself for an elegant evening of fine arts performances, to fine galleries, to more laid-back island festivals and arts events, the variety of the cultural scene in the Marco Island area entices both residents and visitors year round. Off the Hook Comedy Club a premier comedy club located in Marco Island! With comedy performances by the top names in comedy, Off the Hook in Marco Island has become a hot spot for tourists and locals in the area. Off the Hook, located in Marco Island, has top comedians such as Kevin Hart, Tommy Chong, Kevin Nealon and more. Along with the comedians, Capt. Brien’s Seafood & Raw Bar plays host to Off the Hook Comedy Club Thursday through Sunday each week ensuring that there is never a dull moment in Marco Island! It’s truly something to experience while in the Marco Island area! The Midwest is the American dream. You’ve got space to stretch your arms and legs, beautiful family-friendly neighborhoods, and just the right amount of fun! But sometimes you need a break or a permanent split from the biting cold, snowy winters. Whether you are looking for a relaxing vacation, or a more permanent retreat, Marco Island, Florida is your solution. It is not exactly uncommon for families to purchase lake houses or cottages, especially in the Great Lakes area, but when you are looking to escape the frigid winter months why go somewhere with just as much ice and snow? Florida is nicknamed the Sunshine State for a reason! So escape the frostbite and get a suntan. Marco Island is the largest, and only developed, barrier island among Florida’s southwest islands. 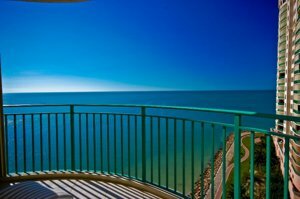 Located right in the Gulf of Mexico, most of Marco Island’s apartment buildings and condominiums have stunning views of the sparkling turquoise waters so the beach is always right within reach. The island’s tropical climate is just one of the many reasons people flock to this island every year. With a bit of a rainy season between June and October, Marco Island is nearly always warm and sunny, allowing for it’s residents to spend their days exploring all the island has to offer, from the shops, to the parks, to the restaurants, to the waves, you will be sure to get your fair share of Vitamin D.
Speaking of outdoor-play: Marco Island is mere miles from Collier Seminole State Park, one of Florida’s most beautiful and fun filled attractions. At Collier Seminole State Park you can take a mile long nature trail, escape even further by camping with some friends, or just have an afternoon picnic. That’s not including all of the park’s water activities: fishing, canoeing, and boating are all popular pastimes at this State Park! You don’t need to leave the island to have this much fun! Marco Island is home to a range of goings-on and adventures. You can take boat trips, go shelling on a plethora of beaches, or take guided canoe trips. You can also observe some of the beautiful wildlife that inhabits the island. There are always fun neighborhood events that you are encouraged to join: from fishing tourneys to food and wine festivals; there is always something to take part in. More and more people are discovering the rejuvenation and laid-back lifestyle that comes with living on Marco Island. A move, or extended stay here gives you a close-knit community, salty sea air, and days for you to fill relaxing or having fun in the sun. So whether you are retiring from the Midwest chill, or looking for a second home to break up the monotony of the plains, choose Marco Island, Florida. Last minute walk-throughs, inconvenient calls, price adjustments and the possibility of being stuck with two mortgages are real concerns. If you are not completely prepared, you could end up losing hundreds, even thousands, of dollars in profit. The difference between a profitable, smooth transaction and a break even, miserable experience is often a fine line. In the majority of cases it comes down to the subtle know-how of your professional agent. By utilizing the knowledge of a qualified real estate professional, you’ll ensure the quick, profitable sale of your home. This blog is designed to arm you with the knowledge to avoid 11 common mistakes that cost sellers serious money. It always costs you more money to sell "as is" than to make repairs that will increase the value of your home. Even minor improvements will often yield as much as three to five times the repair cost at the time of sale. Your broker will be able to point out what repairs will significantly increase the value of your home. Seemingly small fix-up jobs can have quite an impact. Cash is not always the most advantageous transaction. Income level, tax benefits and current legislation are all critical factors when considering purchase terms. Professional real estate brokers are experts at home transactions and can lead you down the path that will give you the highest yield. Accessibility is a major key to profitability. Appointment-only showings are the most restrictive, while a lock box is the least. However there are certain considerations to take into account: your lifestyle, time frame for the desired sale and the relationship with your agent. The more accessible your home is, the better the odds of finding a person willing to pay your asking price. You never know if the one that couldn’t get a viewing was "the one that got away." By developing a trusting relationship with your agent, he or she will show the home with your best interests in mind. One critical reason to find the right professional is to make sure the property is priced appropriately for a timely and profitable sale. If the property is priced too high, it will sit and develop the identity of a problem property. If it’s priced too low, it could cost you considerable profits. The real estate market has subtle nuances and market changes that should be re-evaluated by your agent every 10 to 14 days to help you maximize your return. The broker who is innovative and willing to offer new strategies of attracting home buyers will always out-perform brokers who rely on traditional methods. Demand around the clock advertising exposure, innovative lead generation methods and lead accountability. These services exist and should be offered on your home sale. Just as a broker who continually follows the trends of a stock, your professional real estate agent continually follows trends of your home market. They will know if the market cycle is poised to net you the most money. Avoid believing that property sales are seasonal...property is always selling. The prospective home buyer’s first impression is the most important. An unbelievable amount of home sales have been lost due to unkempt lawns, cluttered rooms, stains, unpleasant odors...all of the seemingly little things. Imagine you were the home buyer and clean your place from top to bottom...military style! Your real estate broker’s responsibility is to screen prospect’s qualifications before valuable time is lost. Be sure to align yourself with the right professional and eliminate negotiating with unqualified prospects. Never put your property on the market to sell unless you are serious. The right professional will find you buyers, and if you are harboring indecision, you will blow the sale. 10) Be a part of the team! Take an active role with your agent to see what you can do to facilitate your sale. Networking with professional peers and personal friends often results in the sale of a home. It’s surprising how many homes are sold this way. With all the intricate details and critical decisions to be made concerning your home sale, should you rely on anyone but a top-producing professional? Many friends and family members have been estranged as a result of failing to meet expectations. Your home sale is a time-consuming, effort-related and difficult task. Maximize your profit by utilizing a professional. We sincerely hope these tips and ideas are of value to you. If there is any way I can be of service, please contact me. It would be a privilege to be of service to you! With the economy slowly mending, more people are interested in purchasing new homes. However, many homebuyers miss potential dream homes because they’re convinced bigger is better. A larger home used to connote wealth and freedom, particularly for young singles who didn’t like the idea of staying with Mom and Dad after college or moving into a studio apartment. However, a smaller home has a plethora of advantages, particularly for singles and the elderly. Today, we’d like to enumerate some of the benefits of a smaller home. The majority of people shy away from smaller homes because they don’t like the idea of storing or selling possessions. Yet fewer possessions often means less stress. Purchasing a home and all that entails is quite stressful, particularly for young singles who’ve never lived on their own before. Downsizing can actually decrease these worries; it allows you to focus on the items that are most important to you, as well as what kind of home will best support your treasures. If you want an apartment or condo that allows pets, you’ll probably be less concerned about whether all your appliances will fit in the kitchen. If you treasure your photographs, you’ll be more concerned with the wall space than whether you’ll be able to use your large comforter. People who live in large homes may go months or years without getting to know their neighbors. Yet in an apartment or condo, the neighbors are always within easy reach. Some homeowners brush this off as a negative, fearing the “nosy neighbor” stereotype. However, this is often an advantage. There’s generally someone close by in case of an emergency or in case you need a pet-sitter. The neighbors’ proximity also means you’ll have more opportunities to socialize in and out of your home. Owning a home often sounds like a grand adventure or proof of adulthood, and for some, it is. However, the upkeep of a traditional home quickly becomes overwhelming. With a condo or apartment, maintenance and upkeep issues are handled on-site for everyone. Thus, you can enjoy your home without worrying about who’s going to mow the lawn, spray for bugs, or change the light bulbs. Help is always one phone call or email away. One of the first things families want to know when relocating is whether the schools are good. Fortunately, the schools in Marco Island and the greater area are some of the best, with a 9/10 rating from GreatSchools.org. The island boasts two charter schools, Marco Island Charter Middle School and Marco Island Academy. The former is for grades 6–8; the latter is a 9–12 school. Other schools include a private preschool, several after-school programs, a Christian academy, and a Montessori school for children in Pre-K through third grade. Of course, the Naples and Marco Island areas have plenty of beaches, but there are several other outdoor attractions to consider. For example, Caxambas Pass Park is awesome - you can check out the reviews on TripAdvisor.com and other sites, with park-goers citing great bird-watching opportunities and easy access to the Gulf. The fishing, views, and wildlife are also praised often. If you like to pair art and the outdoors, you can also try Artist’s Gallery Marco Island, where local art, photographs, and jewelry can be purchased. Mango's Dockside Bistro: Terrific location on the water, great sushi and burgers. DiVinci's: Reminds me of Italy. Outstanding service and excellent food. Philly Grille: This is our "go to spot", I highly recommend this spot for lunch or dinner, you can' go wrong with anything on the menu. On Marco Island, the theater is not only for tourists. The Marco Island Theater regularly puts on engaging productions. Their 2015 calendar includes Frankenstein, Arsenic and Old Lace, and Leading Ladies. Patrons can also participate in the spring Soapfest, an annual charity event at which actors and special needs children paint canvases together. The paintings are then auctioned off, with the proceeds going to the special needs community. Great building home site with desirable South-West rear exposure. ewer assessment has been paid. 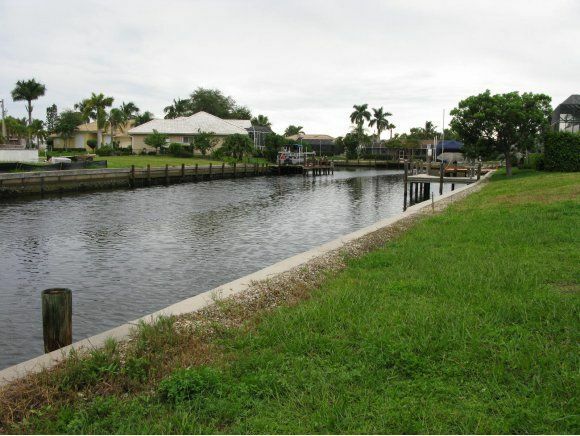 There is quick access out through the scenic Tarpon Bay to the Marco River. Contact me for building questions. Agent interest. Living Area: 1,070 Sq. Ft.
Joe Contarino and the team at Marco Beach Front Realty have years of experience dealing with foreclosed homes. As of 2014, Florida remains one of the top states for foreclosures with one out of every 462 units sold being a foreclosed property. Many homeowners find foreclosed homes attractive, particularly if they’re looking for a small property or having trouble with a traditional home purchase. Buying a foreclosed home has its advantages, but too many people buy these properties without knowing what they’re getting into. Joe Contarino and the Marco Beach Front team would like to offer some vital information today. Foreclosure is defined as the process of taking back a mortgaged property, often by a bank, because the mortgage holder failed to keep up payments. In other words, buying a foreclosed home means you’re buying property the original owners may still be attached to. The majority of homeowners understand foreclosed property is no longer within their means. However, they may feel embarrassed, ashamed, or angry about the way they gave up their home. When purchasing a foreclosed home, remember the human on the other side of the sticker price. Be honest with your realtor and the sellers about what you can afford and what you expect from the home. A foreclosed home can be a bigger investment than most. The price may be low, but the commitment may entail more than a traditionally purchased home. Some foreclosed homes need several repairs, some of which might be big and expensive. The home may also have significant cosmetic issues that may impact the health and longevity of the building and its residents. When you buy a foreclosed home, you’ll likely be taking over issues the previous owners couldn’t afford to fix. If you find this daunting, a foreclosed home may not be for you. Buying a home is not a “do it yourself” project, and that’s truer than usual for foreclosed properties. Foreclosure laws vary from state to state, and laws and paperwork can be confusing. Even if you’re a foreclosure law expert, never try to buy a foreclosed property without an agent. An agent can help you sort through foreclosure listings and find the right property for you. He or she can also give you expert opinions on the home’s longevity and future market value. Monterrey Condominiums built in 1996 right on the tip of Marco Island. These luxurious condos overlook the shining waters of beautiful Gulf. With 136 amazing units, Monterrey is the ideal place to live. Residents get: a terrace, laundry room, master suite with walk-in closet, double sinks in the master bath. Amenities included with the Monterrey include; heated pools, elevator access, tennis courts, social room, fishing dock, fitness center, and covered parking. Everything you need to enjoy Marco Islands full potential! So enjoy, the sun, sand, and surf at Monterrey Condos. Marco Island is not only the largest, but also the only developed land in Florida’s ten thousand islands. A short distance from Florida’s famous everglades, and minutes from Naples, Marco Island is everyone’s idea of a tropical retreat. Collier Seminole State Park is just miles from the island: There you can canoe, fish, boat, hike, or camp. Narrated boat trips, shelling excursions, and canoe trips are all readily available. Whether you are looking for a relaxing day at the beach and rejuvenation at the spa, or you are looking for adventure; Marco Island has something for everyone. Marco Island offers a vast array of condominiums to choose from, Sandcastle offers the most beautiful of them all! With two separate building, I and II, provide impeccable views of the white sand beach and the shimmering Gulf. In both buildings, units include personal balconies looking over the waves, and at the end of the day, the beautiful sunset. Both Sandcastle buildings’ residents have access to amenities such as: the pool, Jacuzzi tub, sauna, tennis courts, and state-of-the-art fitness center. Pets welcome in Sandcastle II, not in I.